Built by Sir Robert Jennings in 1610 as a family residence and occupied by them at least until 1660 when a daughter, Sarah Jennings, later Duchess of Malborough, lived here. The Duchess was a very close friend and confidante of Queen Anne, and was said by some to be the real Queen of England! 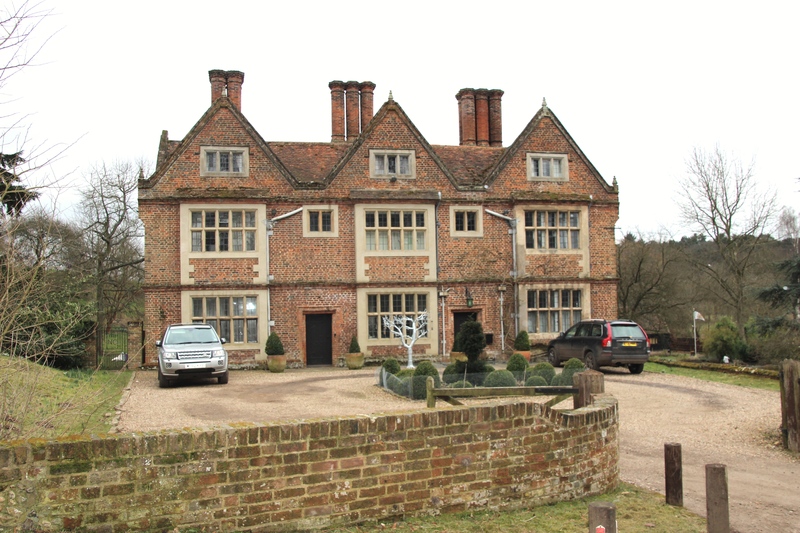 By 1702 she and her husband Sir John owned all of the Manor of Sandridge in which Water End was then situated. The exterior of this house was used in the filming of Harry Potter and the Philosopher's Stone and the flying Ford Anglia was also filmed close to the house. Water End Farm owned several barns which were alongside the old ford. In 1938 one of the barns, which had fallen into disuse, was relocated to St Albans where it still stands as the Waterend Barn Restaurant. The restaurant was owned and run by the Thrale family and more information on the house can be found here. The ford by the house is known to be the crossing point over the River Lea for the Roman Road from St Albans to Braughing. Waterend Lane Is probably the course of the road as it went north, passing near to Hunters Bridge, over the River Mimram at Welwyn, and continued up what is now Forge Lane, under the church and out of the parish to the north east.